I've been making a lot of backgrounds without any particular idea of what I wanted to use them for. When my youngest wants to play with his Crayola watercolors, I play along with him. Then another son saw me playing with my Gelatos so he wanted to try them out. None of my kids really want to keep their "artwork" so I repurposed them today as well as some of my own. I thought it was perfect for a set of notecards using the set You and I from Verve. This card was using Crayola watercolors. There's some sediment deposit on the watercolor sheets but I thought it added some nice texture. It was a little dark so I tried a bokeh effect using a DIY stencil. I punched different size holes in an acrylic sheet and used Versamark Cloud White to sponge them in. I think it turned out well, don't you? 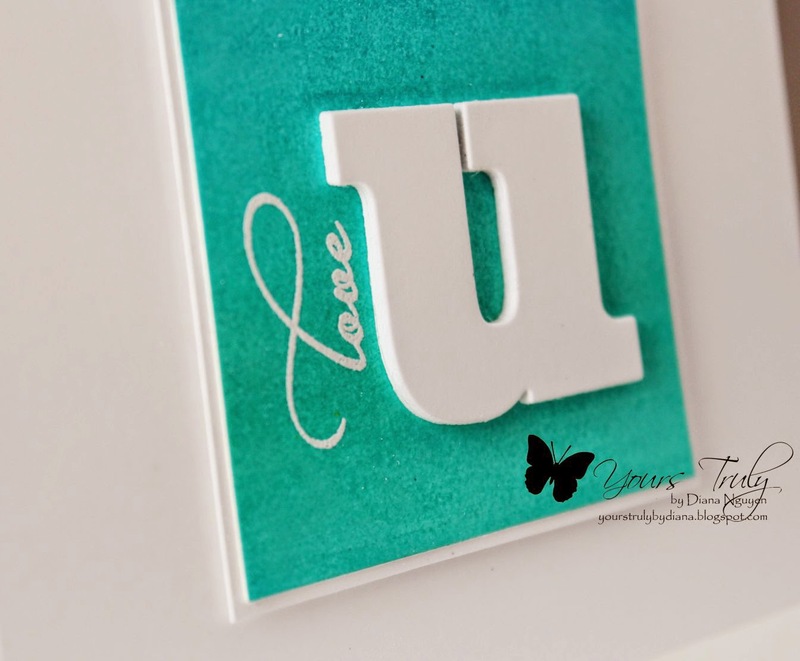 I had die-cut the "u" eight times and stacked them on top of each other and embossed in white different sentiments. This is excellent set of cards! 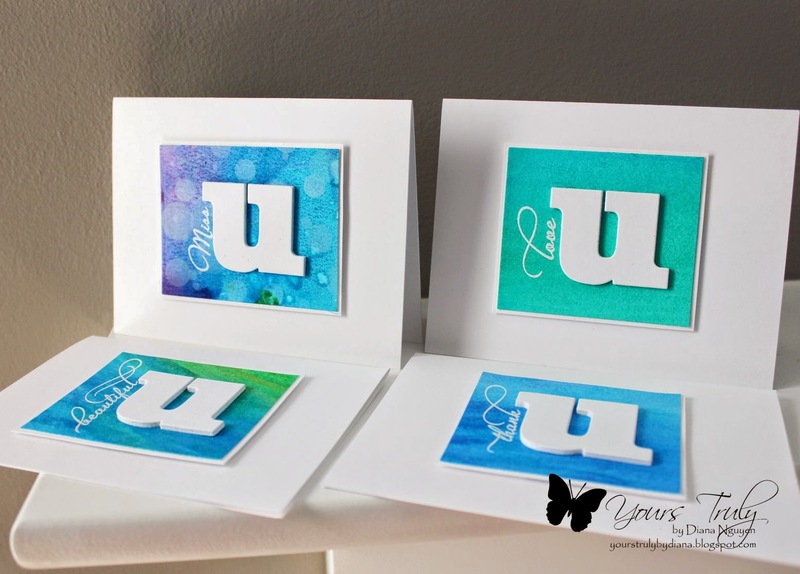 Love the bright backgrounds and thick U, eight die cuts sounds impressive, I should try! Beautiful notecards, Diana! Love the colors you've used and how they're so clean and simple. 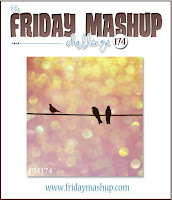 Thanks for joining us at the Friday Mashup. Fantastic set of cards Diane. Love the different backgrounds against the huge dit-cut letter! What an amazing sets; I love that you re-purposed your sons' 'artwork' into yet another form of artistry. These backgrounds are nothing short of fabulous - and with the addition of the stacked die-cuts and embossed sentiments...pure stunning! Awesome!! What a fun and brilliant way to utilize the artwork of your children! LOVE this idea! Beautiful colors, crisp and clean...so glad you joined in the fun at CASology this week! Adorable card set and your son rocks! Really fabulous design. 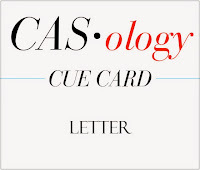 Thank you so much for sharing with us this week at CASology! What a fantastic set of cards. All of your backgrounds are truly beautiful, and I love that you were able to take your kids' artwork and turn them into something so very practical. Thanks so much for playing along at CASology this week. hi Diana! 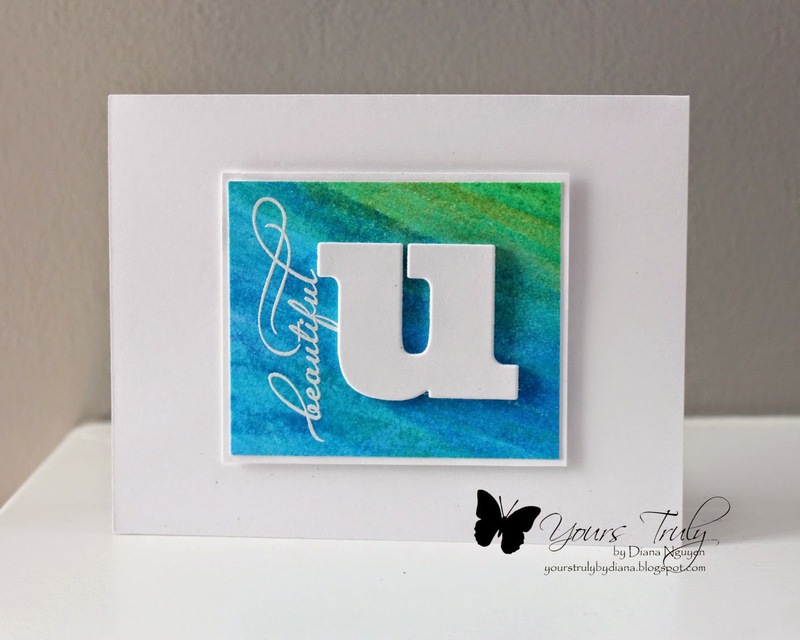 I adore your style, these CAS cards are gorgeous...the colors with the white are stunning! so glad you played along with Simon Says Stamp Wednesday Challenge! This is a most excellent and very cool set of cards!! Love all the work you did die cutting those u's and what a great, amazing job you did on your backgrounds!! Congrats, Diana... and very much deserved! Fabulous, just fabulous! So beautiful, Diana...LOVE them all!! What fun to use your sons artwork to make it even more wonderful!! Congrats on your win...well deserved...inspiring:)! !